Master Engraver Lisa Tomlin engraved and intertwined 18K Gold vines in this magnificent very deeply green Jade interframe art folder. 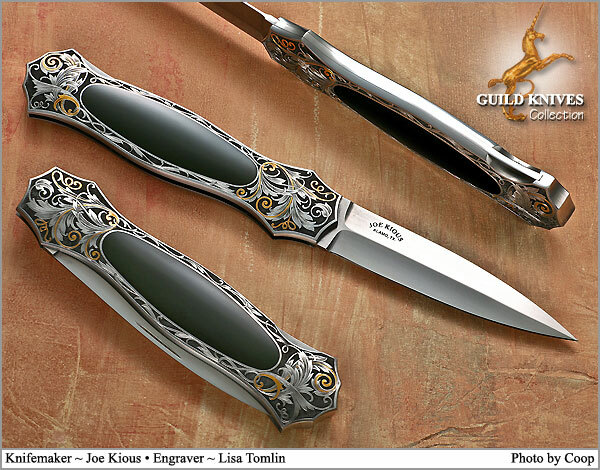 The interframe handle is fully covered with detailed engraving, and the double ground dagger blade sets off the handle. Jewel-like action.